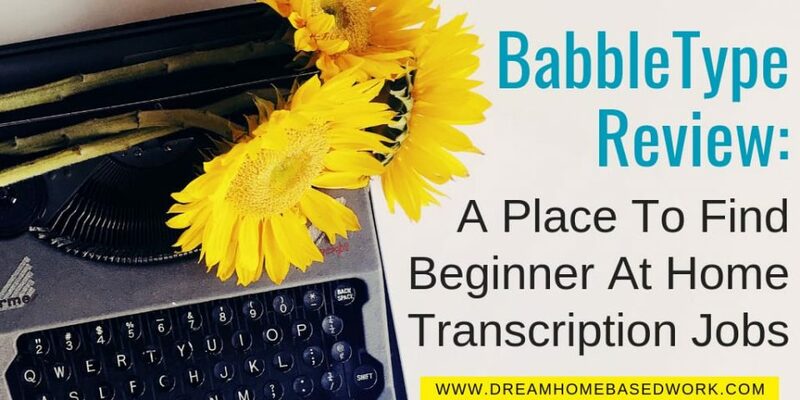 Babbletype is a transcription company that offers work at home opportunities in transcription and editing. If you have a great understanding of English grammar, and can meet deadlines under pressure, then this may be a good option for you. This company is very popular among the work at home world so the hiring process is quite competitive. Similar transcription jobs are GMR Transcription and Rev. BabbleType is highly known for their professionalism. Most of the transcription work offered at Babbletype is general transcription. This type of work involves listening to an audio recording and typing what you hear into a document. It is then sent to the client, giving them a written file of what’s on the recording. You are able to be quite flexible with your schedule. Out of the 20 hours, you can log in and out as long you meet your deadlines. Babbletype treats their contractors with respect and provides them with steady work.The pay averages to be around $10 per every 15 minutes of audio transcribed. Payments are made on a weekly basis via Payal. Don't expect the hiring process to move very quickly. Based on the feedback from other contractors, it takes time to land a position. 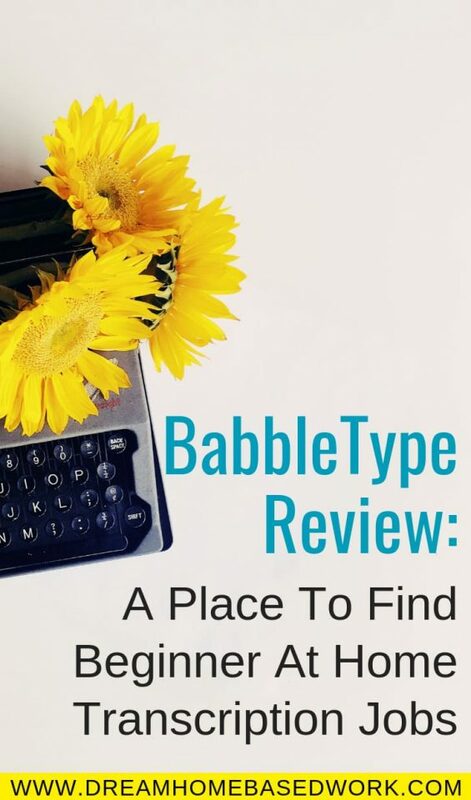 Babbletype delivers high-quality transcription work to their clients, and they want to make sure their transcribers are highly skilled. The company will test everyone to evaluate your potential skill set.These preliminary tests are long and can take up to three hours to complete. They will then determine if you are a good fit for the position. Unfortunately, you won’t be compensated for the time you devote during the application process. But if you land the job, your time will be well spent. Babbletype is a legitimate source of work at home income, but the work is not for everyone. Personally, I do think it is a good starting point for those seeking work at home opportunities. You will make some money plus gain transcription experience. If you'd like to see what in-house opportunities Babbletype have listed, here is the link to their website. Have you worked for Babbletype? I would love to hear about your work experience in my comments below. Good luck to all those who apply! Yes, I worked for them. If you were great with online classes in college it’s easy to understand but it was hard for me to get used to the expectations and I had a lot of questions. They say if you are good it should only take about thirty minutes to transcribe most audio but most audio clips are longer than that and it takes longer than they say in the application for the experienced transcriptionists too. It should be higher pay but if you have a lot of free time and need extra cash on the side I would do it for the experience. I am almost unemployed and right out of college so it works for me but definitely not for everybody. You have to be extremely self-disciplined. There are other stay-at-home jobs out there that take up less time, you get more recognition, and maybe a more regular schedule. I totally agree Katie! Its takes real discipline to work from home for any company. I’m glad you were able to land a job with Babbletype. Thanks for sharing your perspective.